How to make a website/wordpress blog? I hope you liked my website and other websites ( thefansofhockey.com, www.itsdjs.com and www.maheshc.com) which are completed with my help. After seeing these website, many friends have become interested in making their presence in the world of www and .com’s, .in’s etc. After seeing such response I thought I should write down some preliminary steps to get started with your own website, rather a blogsite. I have a request to the experts in this area, let me know if I am wrong some where and/or some thing can be done in simpler way? Domain Name: Domain Name is the address of any website such as www.thefansofhockey.com or www.iisc.ernet.in. For having a personal domain, one need to by it from any of the domain registrars, which costs around 10$ per year (dont forget to look for discounts by different Domain Name registrars). For example I am a customer of www.godaddy.com, a friend of mine likes to buy it from google and another friend is a customer of www.arvixe.com. There are few free domain name providers but with their own top level domain e.g. *.co.cc. www.bestdomainregistrar.org has given a comparison many domain registrars. If you want more details about domain registrations and how does it work, read through “Domain Name” on wikipedia. Web Server/Website Hosting: Most of the people think that if someone buys a domain name, he gets hosting space free with it, but this is not the case. Website hosting space can be anywhere even on your own pc known as Home Server (details on wikipedia) but condition is that it has to connected to internet 24X7X365 otherwise your website would be down if it not connected to internet or not powered on, other issues are also there like keep it updated and secure. But do not worry, there are many free web hosting service providers who are reasonably good for personal websites and starting off with your business website. There is one called 0fees.net and another x10hosting.com, the earlier has some limitations on some functions of PHP and file transferring while the later has some strange terms & condition of logging into their online help forum monthly. On the other hand, paid hosting service providers does not have such problem but they are quite costly, in the range of 2-4$ per month. Connecting Domain Name and Web Server: You need to pass on the information of domain name to your web server and vice-versa. Domain Name has to be provided with the name servers of the web host (how do it on godaddy.com? )and your domain is needed to be parked at your host. a) Login to cpanel (control panel) of your website using the username (something like fees0_********) given by 0fees and all ******** of password (must be strong enough) which you had chosen. d) You have to upload the files only in htdocs folder in your file manager. e) Now let us do some downloading!! why? Cause, we are making our own wordpress site (e.g. www.mkmahala.com) on which we have full control, not the one with wordpress.com in address (e.g. www.iischockey.wordpress.com). What to download? WordPress package from www.wordpress.org. f) Now upload the WordPress package in your htdocs directory through upload button in “File Manager“. “There doesn’t seem to be a wp-config.php file. I need this before we can get started. Need more help? We got it. You can create a wp-config.php file through a web interface, but this doesn’t work for all server setups. The safest way is to manually create the file. Dont worry, you are on right track. Click “Create a Configuration File” button. Database password = MySQL Password and 0fees control panel passwords are same. And click “Submit“k) You are welcome, Enter your site information here (screenshot courtesy: wordpress)l) Domain Parking: As it is mentioned in #3) Connecting Domain Name and Web Server, above, for domain parking on your host, go to Parked Domain in Control Panel (highlighted by gray outline in the photo) and enter your domain name e.g. mkmahala.com and select a domain from Park on list, click on Add Parked Domain. 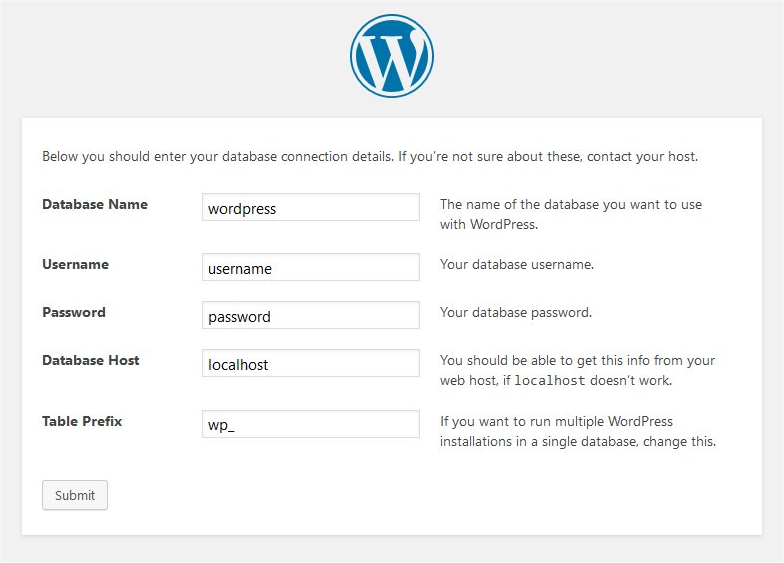 Here is the guide for installing wordpress by wordpress. Currently www.thefansofhockey.com, www.mkmahala.com, www.itsdjs.com and www.maheshc.com are hosted on hostable.com for free for two years, through hostable‘s offer, they have been good hosts. Hope you are through, congrats :), In next post, I will write about installing themes, plugins, etc to customize the looks of your wordpress base blog site. 2 Responses to "How to make a website/wordpress blog?"